Analytical Armadillo: Ask The Armadillo - Does Breastfeeding Cause Tooth Decay? My dentist has warned me to cut nightfeeds now my daughter has some teeth, as it will cause decay. This is proving easier said than done, is it true breastfeeding at night rots teeth? I contacted Dr Brian Palmer DDS about your question, as a world respected dentist who has extensively studied anthropological evidence surrounding normal oral development, infant feeding and decay - who better? No, breastfeeding is not thought to cause tooth decay - it's another one of those old breastfeeding myths. It is widely recognized as being the main cause of dental caries (cavities) is caused by bacteria such as streptococcus mutans, which feeds on food sugars producing an acid that causes decay. It's estimated that around 20% of the population have increased levels of this bacteria (predisposing them to decay) and it can be passed from parent/caregiver to baby via saliva eg a parent sucking baby's pacifier, sharing spoons etc. A researcher called Berkowitz concluded that "caries is an infectious and transmissible disease". I think the confusion about breastfeeding and teeth comes from two sources; firstly many don't understand the difference between breastmilk and substitutes and their effect on teeth. A 1999 study by Erikson demonstrated that some infant formulas dissolve tooth enamel, significantly reduce pH, and cause dental caries. In addition bottle feeding causes milk to pool around the teeth, because it is delivered much further forward in an infant's mouth. Secondly whilst an extracted tooth soaked in lactose (the sugar in breastmilk) decayed, infant teeth exposed to breastmilk as a whole producted react quite differently. Breastmilk has antibacterial properties, with lactoferrin as a major consituent - and lactoferrin actively helps to neutralise strep mutans. Furthermore unlike other sugars, lactase enzyme splits lactose into glucose and galactose in the intestines, rather than in the mouth. When teeth were exposed to breastmilk, it did not cause enamel decalcification even after 12 weeks exposure; furthermore breastmilk did not cause a significant drop in plaque pH when compared to rinsing with water. "It is concluded that human breast milk is not cariogenic." 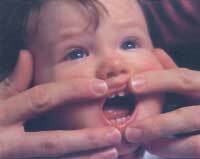 There is not a constant relationship between breastfeeding and the development of dental caries. Mothers should be encouraged to breastfeed as long as they wish." If lactoferrin helps destroy strep mutans, how can brestfed infants still suffer decay? Small enamel defects can occur when teeth are forming in utero, sometimes due to exposure to medicines eg specific antibiotics. or insufficient calcium intake (Torney 1992). These defects make the teeth more vulnerable and breastmilk is not sufficient to counteract high levels of bacteria. "Human milk alone does not cause dental caries. Infants exclusively breastfed are not immune to decay due to other factors that impact the infant's risk for tooth decay. 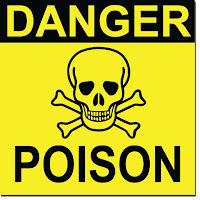 Decay causing bacteria (streptococcus mutans) is transmitted to the infant by way of parents, caregivers, and others"
2. The timing of introduction and the number of decay causing bacteria that are introduced into the infant’s mouth. I've also seen increased rates in infants who have a tight or thick labial frenulum (the little tag of tissue in the center of the upper and the lower lip that attaches the lip to the gums) - perhaps because the area is sensitive it's harder to brush and thus more prone to stray food particles remaining. You can read Brian's own presentation on breastfeeding and tooth decay here - WARNING, the link contains graphic images within a medical context. Good teeth brushing is essential - any food particles mixed with breastmilk can cause decay. Some parents find an electric or musical/novelty toothbrush can distract reluctant brushers enough to quickly get the job done. Investigate Xylitol - it has been shown to stop strep mutans being able to "do their thing" and comes in various forms. You can get crystals to dissolve in water to use in a spray bottle, as a mouthwash or in a water bottle to sip (check suitable dosage!) a study also found reduced decay for infants if mum chewed xylitol gum. Decay initially may look like small chalky white patches, usually seen on front surfaces of incisors, often close to gumline - many recommend "flipping your baby's top lip once a month for a good look! These patches then turn golden brown and eventully black as decay advances. If you spot something get it checked out, ignoring it because they will fall out anyway in a few years isn't a good plan - statistics show infants with decay are 3 x more likely to suffer as an adult. This condition can progress very rapidly due to the enamel of primary teeth being thinner than that of permanent teeth - resulting in pain, infection and premature loss of baby teeth. Products such as Tooth Mousse or MI paste may be suitable to remineralise teeth within 2-3 months - always check with your dentist. If the decay is more advanced, other products are available to use short-term alongside such as curasept toothpaste and gel - always check with your dentist. The NHS seems to only offer tooth removal in cases of severe decay - yet experts urge parents to seek alternative opinion and treatment where possible, because baby teeth need to remain in the mouth for lots of other reasons; chewing on well-formed teeth helps the jaw bones to grow and develop properly, provide spacing for permanent teeth, allow normal chewing of food important for digestion and are also necessary for the development of sounds and proper speech development. As certain molars are expected to be in the child's mouth until 12-13 years of age - early removal may have significant impact. Other options may include infant crowning. Breastfeeding & Infant Caries - No Connection. Really useful info, thanks. M has a small white patch between his two front teeth, going to get my folks to bring me some tooth mousse at Xmas. There are articles on the clinical studies of scientists like Weston Price and Britain's own May Mellanby who've successfully treated tooth decay through nutrition. Also, as a member of the yahoo group listed above, I concur that it has a very supportive and helpful membership . yes agree to look at Weston A Price that looks at nutrition, and can reverse the damage of tooth decay. also that i heard on a WAP recording that the children who are fully breastfed and get cavaties have mothers who are not having a healthy raw milk and meat diet (many are vegan or on a 'standard' version of a healthy diet. Please don't look at Weston A Price for nutritional or health advice. Price's theories are from the '20s and I can't understand how anyone thinks it's still relevant today (much of his work has been proven faulty over and over). Further, the WAP foundation spout numerous inaccurate 'facts' about breastfeeding and recommend home made formulas over and above mother's milk. This is a dangerous practice. don't forget to wait 20mins after the last food/sugary drink was consumed BEFORE cleaning teeth. Otherwise the acidity of the mouth increases damage to the enamel while scrubbing. Also when baby is tiny I used to find the 'finger' toothbrushes helpful because their mouths are so tiny when they first get teeth and you can feel exactly what you are doing without knocking any sensitive gums.